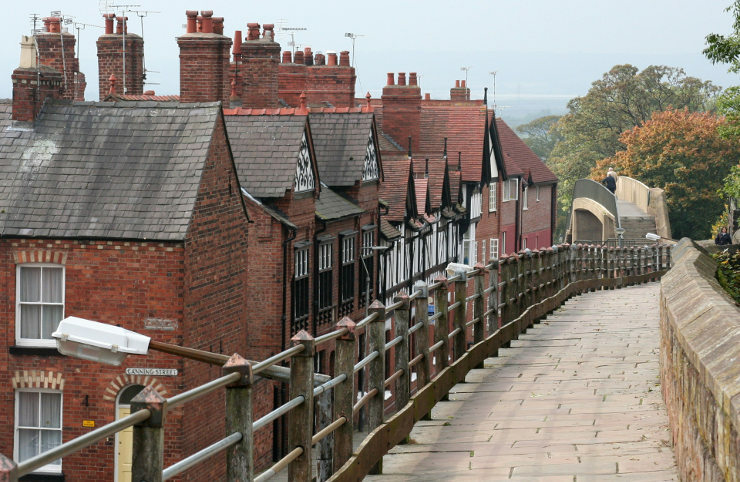 The walled city of Chester is somewhat unique in that it offers a snapshot of how cities have developed through the ages. Some of the buildings date back to Roman and Medieval times and are interspersed with more modern structures from the Industrial age. It is no surprise that with such a melting pot of eras represented, haunted Chester has some very interesting paranormal tales to tell. 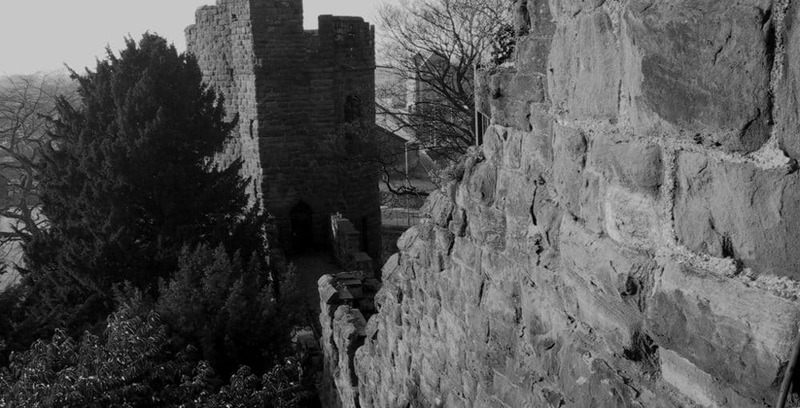 One of the most well know Chester ghosts is the spirit of a Roman legionnaire who is said to appear at the City Walls. He is most often seen between the amphitheatre and Newgate. It is said that the legionnaire was in love with a local Celtic girl and he frequently left his post in order to meet with her. However, the girl’s parents ended up taking advantage of this situation and one night when the legionnaire had left his post to meet their daughter, they killed the sentries that were left on guard and snatched up as much loot as they could carry. When the lovestruck soldier returned he was murdered. Now he remains close to his post doomed to do the duty he neglected in life! Rowton Moor was once the site of a particularly brutal battle during the English Civil War. In 1645, Marmaduke Langdale and Lord Bernard Stewart led King Charles’ Royalist Army into battle against Oliver Cromwell’s Parliamentarians. During the battle, some 600 Royalists lost their lives, including Lord Bernard Shaw himself. Some say that his spirit lingers on the battlefield. On the anniversary of the battle, September 24th, an apparition of Lord Shaw is said to appear on Rowton Moor. Visitors have also reported hearing the haunting music of the King’s beloved court musician William Lawes playing across the empty moors. 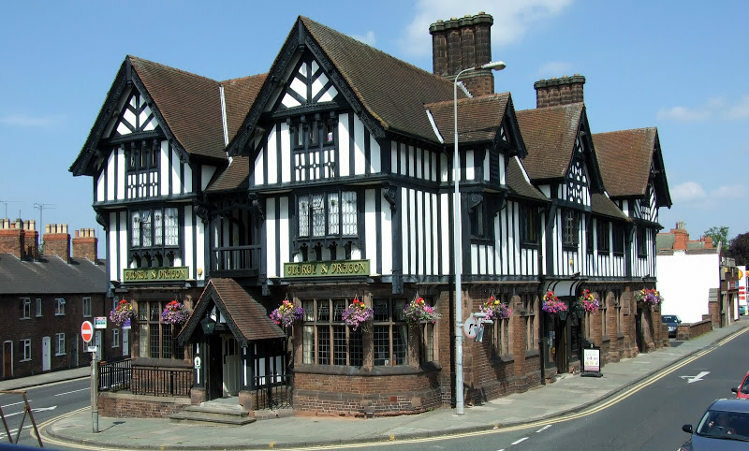 Another of the pubs which holds the honour of being one of the most haunted places in Chester is Ye Olde King’s Head. There is said to be a ghostly child that haunts the building and apparently rooms number four and six are said to be particularly active in terms of paranormal activity. Many visitors have reported seeing a phantom figure wandering around in search of something. During renovation works in the 1930w, a sword was uncovered beneath the floorboards of room number 4. Could this have been what the phantom was in search of? The sword now hangs on the wall of the bar. In 1982, one woman who was staying in room number six when she awoke to find a man in black standing by her bed watching her. She said that she did not feel at all menaced by his presence and he remained there for roughly fifteen minutes before simply vanishing! When we think about properties that are likely to be haunted, there are certain places that usually spring to mind – a chocolate shop is not usually one of them! Nevertheless, Thorton’s Chocolate Shop on Eastgate Street is considered to be one of the most haunted places in Chester! The shop is apparently haunted by 3 different ghosts. These include a large and jovial man in an apron, a more insubstantial male spirit who is almost invisible and finally, a mischievous female poltergeist known as Sarah. Not too much is known about the male spirits, but Sarah is a different matter entirely. Apparently, Sarah is a charming young woman who was sadly jilted on her wedding day. In her distraught state she came home to Eastgate Street and hung herself. Thornton’s now occupies what was once her home. Although Sarah has never been seen, male customers in particular get a very unpleasant feeling of being watched. Sarah is known to move things and even push people. She gets particularly worked up when the Valentine’s Day chocolates are put out on display. She has been been known to scatter them all over the floor while the standard boxes are left alone. Sarah has also proven to be very useful to local police! On one occasion, a burglar broke in to the shop and tried to break into the safe. However, Sarah gave him a scare and he fled the scene leaving behind his tools and a complete set of fingerprints! Stanley Palace is a Grade II listed town house which has previously served a number of different purposes. It has been apartments, a boys’ school, a museum and is now a multi-purpose venue that is let out for a variety of different uses. It is also alleged to be full of ghosts! 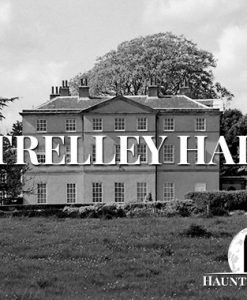 One of the most well known of the Stanley Palace spirits is Elizabeth Warburton, one of the former owners of the property. She is spotted with some degree of regularity, usually walking straight through the wall as though it is not there! Some of the other ghosts in residence include a man wearing Tudor style clothing, an army officer in a uniform that is circa World War II and a lady with grey hair that sits by the piano. Visitors often report hearing unexplained banging, crying children and phantom footsteps while in the building! 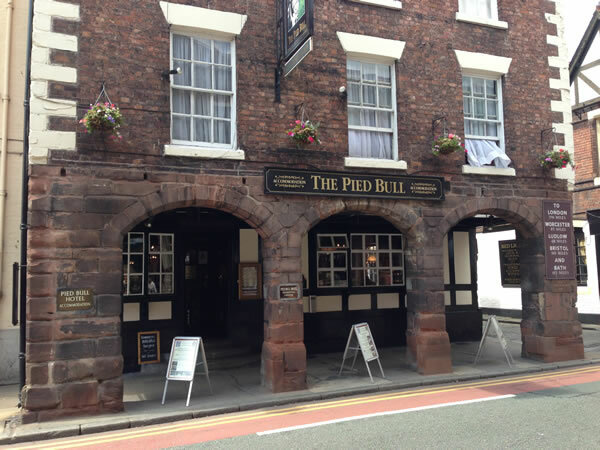 To those not in the know, The Pied Bull looks like a charming little hotel right in the heart of historic Chester. 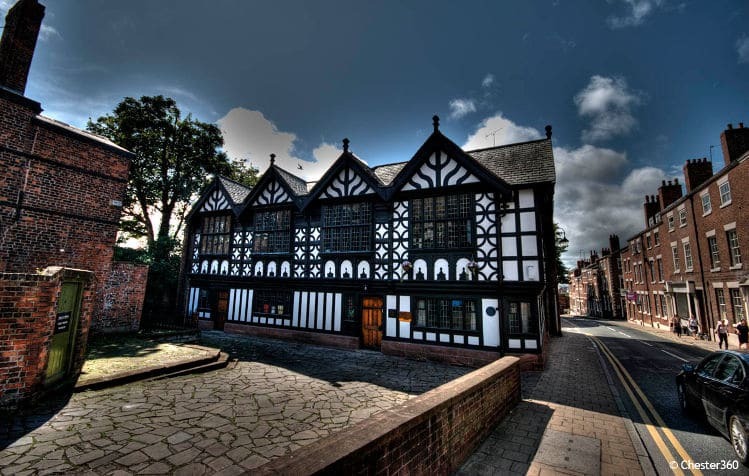 It was built around 1155 and is believed to be the oldest licensed house in all of Chester. The interior of the hotel really reflects the heritage of the historic building as well making it very popular with the tourists. However, The Pied Bull is also hiding a secret! It is one of the most haunted places in Chester with ghosts roaming freely through the cellar and the bedrooms! Before we delve into the ghostly goings on, let’s take a brief look at the history. As noted, this 11th Century pub is believed to be the oldest continuously licensed premises in Chester IT was originally a coaching inn, so huge numbers of guests have passed through over the centuries, using it as a stop off as they travelled the length and breadth of the country. In 1533, the hotel was known as ‘Bull Mansion’ and a wooden staircase was hand made and installed. This is still standing today. In 1784, a coach began running from the hotel. In 1854, the hotel played host to George Borrow before he embarked on his tour of ‘Wild Wales’. 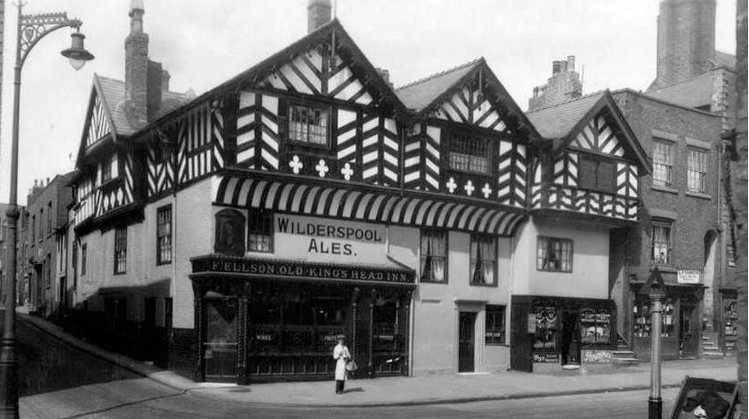 As you can see, The Pied Bull has a rich history and it is now a bustling city centre pub and hotel. Given its age and of course its history, nobody will be surprised to learn that the building has its fair share of ghosts hanging around! The Pied Bull has even featured on a few paranormal television shows including ‘Whines and Spirits’. One of the main culprits for the paranormal activity is a male entity that haunts the cellar. The activity is so frequent there that most of the staff refuse to go downstairs alone. The man is thought to be John Davies who died when he fell down the stairs while carrying a knife in 1609! It is also said that two of the bedrooms are haunted as well. These spirits are apparently former chambermaids who loved working at the hotel and simply never bothered to leave, even after passing on! The George & The Dragon pub is considered one of the most haunted places in the United Kingdom and it has several Chester ghosts calling the building home. 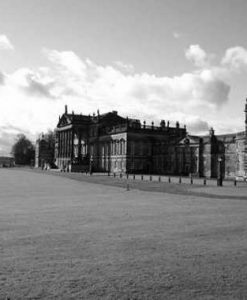 The building itself is an imposing black and white Victorian structure and it is said to be haunted by an entire legion of Roman soldiers! You see, the pub occupies land which straddles what was once a Roman road leading out of a fortress. That probably explains why there have been multiple reports from landlords and customers over the years of people hearing the sound of marching feet beneath the floor of the cellars, following the exact path of the old Roman road!